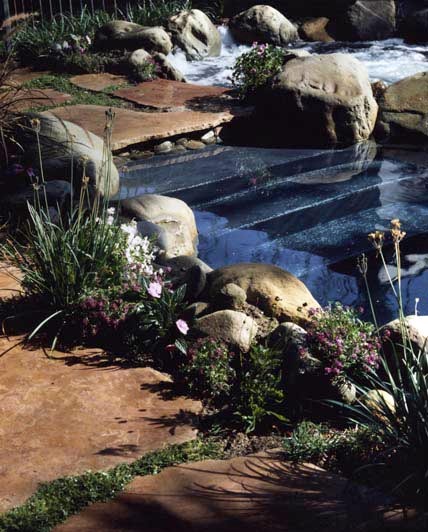 The Neosho project involved a complete remodel of an existing pool and surrounding hardscape and landscape. 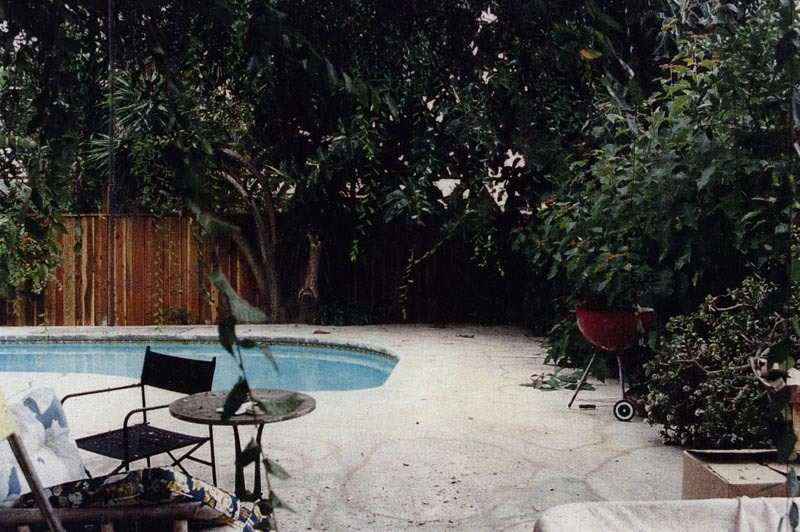 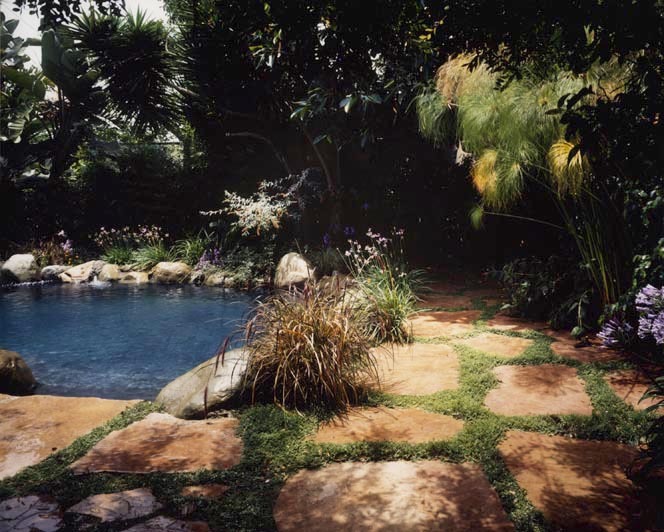 The structural edge of the pool ties it to the luscious landscape and a new, large jacuzzi uses a similar technique to integrate into the backyard. 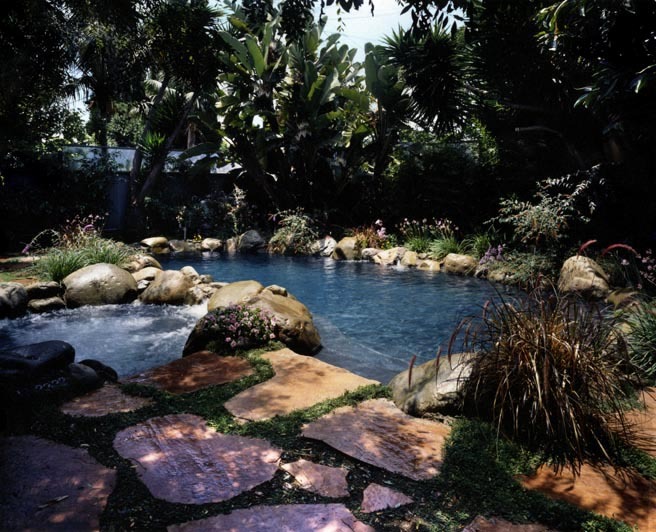 The surrounding planting further separates you from the suburbs of Culver City by filling the sky with tropical leaves and succulent trees.